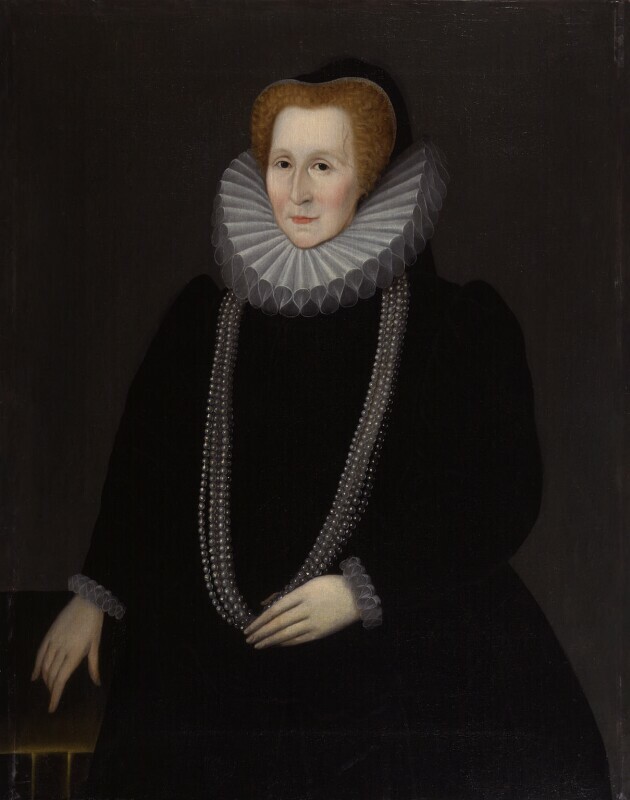 Elizabeth Talbot, Countess of Shrewsbury (circa 1527-1608), Known as 'Bess of Hardwick'; wife of 6th Earl of Shrewsbury. Sitter in 3 portraits. 'Bess of Hardwick' was one of the wealthiest people in late Elizabethan England, and an important patron of architecture. She acquired her wealth through a succession of four increasingly profitable marriages and through her own business acumen. She is remembered mainly for the house she had built at Hardwick to a plan by the great Elizabethan architect Robert Smythson. She is shown here in mourning dress whose understated nature is set off by the splendid five-strand rope of pearls which she wears. 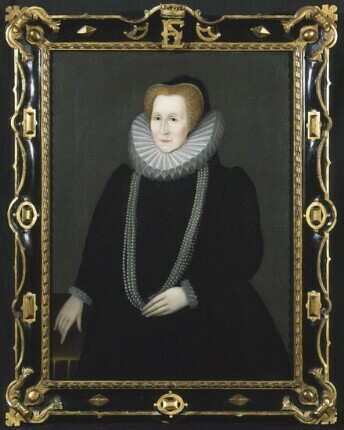 The Elizabethan-style frame which incorporates the sitter's initials at the top was made in 1865 by the Gallery and is likely to be much more elaborate than the original.